I am interested in minimal music from the National Music College and depart as a composer of contemporary music. In addition to being responsible for the music of Hayao Miyazaki's directorate Hayao Miyazaki such as "Nausicaa of the Valley of the Wind" from 1984 movie "Totoro Totoro", Takenori Takeshi "HANA-BI", Takita Yojiro coach "Departures", Li He directed a number of Japanese movie music, including director Nikko 'bad guys'. In 2001, he made his own "Quartet Quartet" who made his debut as a film director. This work, which also worked on music and co-scripts, was selected as the first full-scale music film in Japan to be officially invited to the world cinema department of the Montreal Film Festival. He has been actively engaged in music performances such as piano solo, chamber music, orchestra both domestically and abroad, and in 2004 he conducted a film concert of Buster Keaton's silent movie "The General" at the opening ceremony of the International Cannes Film Festival. In July of the same year, he formed "New Japan Phil World Dream Orchestra" (WDO) with the New Japan Philharmonic Orchestra and became the first music director. 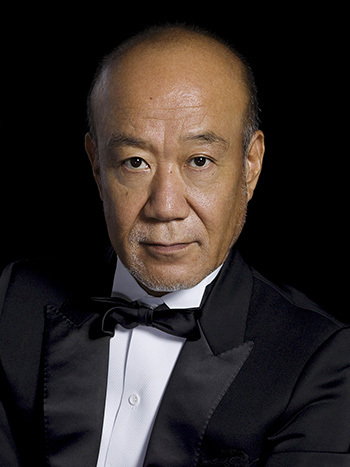 In August 2008, "Joe Hisaishi in Budokan - 25 years walking with Miyazaki animation -" commanded a large scale organization of 1,200 people, including orchestra, mixed chorus, children's choir, brass band, marching band · Piano co-starred great success . In the 2010 Asia Orchestra Tour, 10 performances of 16 performances are performed. In 1981, he released numerous solo albums from "MKWAJU" to "Melodyphony" in 2010, and he also conducts, conducts, and produces not only composition but also establishes its own style not bound by the genre. Started full-fledged activities as a conductor since 2009. "Joe Hisaishi Classics Series" actively featured classical music and made album as "JOE HISAISHI CLASSICS" live board. Recently, I do not know that its activities will stay, such as presenting a new work by the real name "Mamoru Fujisawa" in the name. Domestically, he has won numerous awards including the Japan Academy Prize Music Awards several times over. He won the national best music award in the Korean movie "Dongmakkol He Welcome" who served as music director abroad and the Chinese movie "Postmodern Life of Auntie". Received the Purple Ribbons 2009 in 2009.